Cat's Walks: Sweetheart, we love you! We named him Sweetheart because we were all loveless when he arrived in our lives. For 12 years he protected and loved us. He was a good friend. He was our sweetest sweetheart. I know he knew what he meant to all of us. He had been sick for a few months but somehow he waited until I arrived home (like Argos, Odysseus' faithful dog) and my sister to get married before resting forever. He died early morning the day after my sister's wedding. We like to think that he waited until everyone was safe and happy before he allowed himself to succumb to his illness. We planted a gumamela (hibiscus) bush where we buried him. I take comfort in knowing that our Sweetheart will bloom into red gumamela flowers continuing to bring color and happiness to our lives. I think dogs are the most amazing creatures; they give unconditional love. oh that's so sad. i have always loved dogs. my whole family cried when one of them died due to disease. i hope sweetheart has a replacement at this time. Sorry to hear about your dog's passing away. I too love dogs -- my Brittany Spaniel died when he was about 17 yrs of age and I was unconsolable. Then we had a mini-collie who was killed by a drunk driver. I couldn't eat for days until my hubby got me my current bodyguard! So sorry to hear about this news. I extend my sincerest condolences. 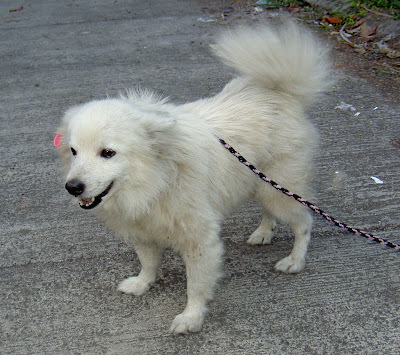 I lost my beloved dog Chacha four months after I migrated to Switzerland. 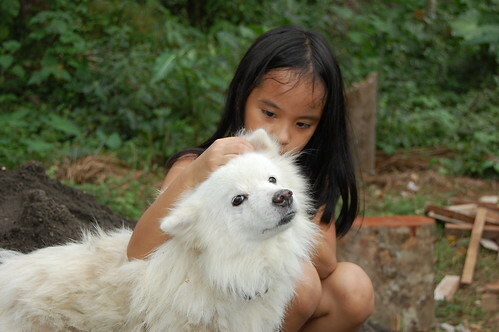 Until now, I cry every time I remember the good times I shared with her (she was my dog). Thanks for the kind words. He was very special to us.